MONTREAL - Air Canada today inaugurated new year-round service between Toronto and Trinidad. This morning's departure of Air Canada Rouge flight AC1880 marks the beginning of twice-weekly, non-stop flights from Toronto to Port of Spain's Piarco International Airport. "Air Canada is very pleased to inaugurate this new, year-round service between Toronto and Port of Spain as part of our ongoing global expansion. In addition to being a popular vacation destination for Canadians, Canada and Trinidad and Tobago have longstanding ties, with many Canadians of Trinidadian descent visiting friends and relatives, and there are also substantial business ties. 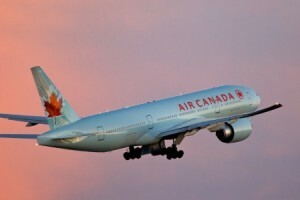 This new service will connect conveniently with our extensive domestic and international network through our Toronto-Pearson global hub," said Benjamin Smith, President, Passenger Airlines at Air Canada. Air Canada's Toronto-Port of Spain flights will operate with a 280-seat Boeing 767-300ER featuring two classes of service with 24 Premium Rouge seats and 256 seats in Economy Class. Flights provide for Aeroplan accumulation and redemption and, for eligible customers, priority check-in, Maple Leaf Lounge access in Toronto, priority boarding and other benefits.